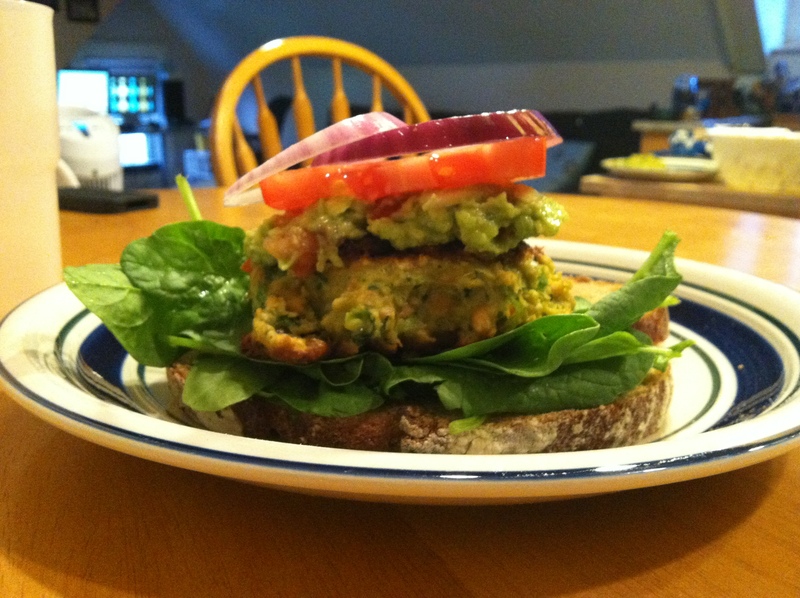 I got the idea to make chickpea burgers from one of my favorite eating healthy blogs, Two Blue Lemons. I didn’t have all the right ingredients and really wanted guacamole so I came up with something a little different. So easy to make and completely delicious. Enjoy! 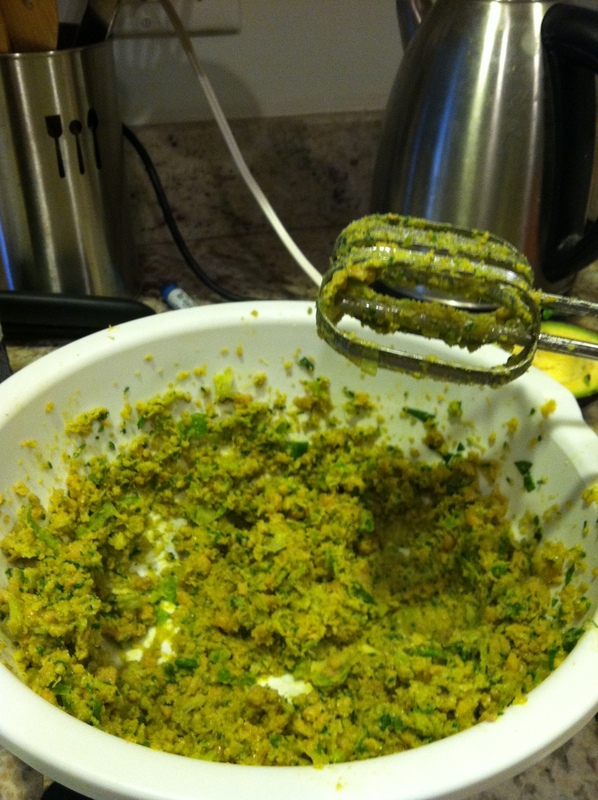 Place the rinsed chickpeas in a large bowl and add the eggs, salt, chopped spinach, green onions, lemon zest, bread crumbs, a bit of thyme, and olive oil. We started mashing the mixture with a potato masher, but that didn’t work so well, so we switched to a mixer. If you have a food processor I think that would work perfectly. But, alas, I don’t have one, and the mixer worked just fine. Once the chickpeas are mashed to a lumpy paste, you can make them into burgers. We made four from this recipe. 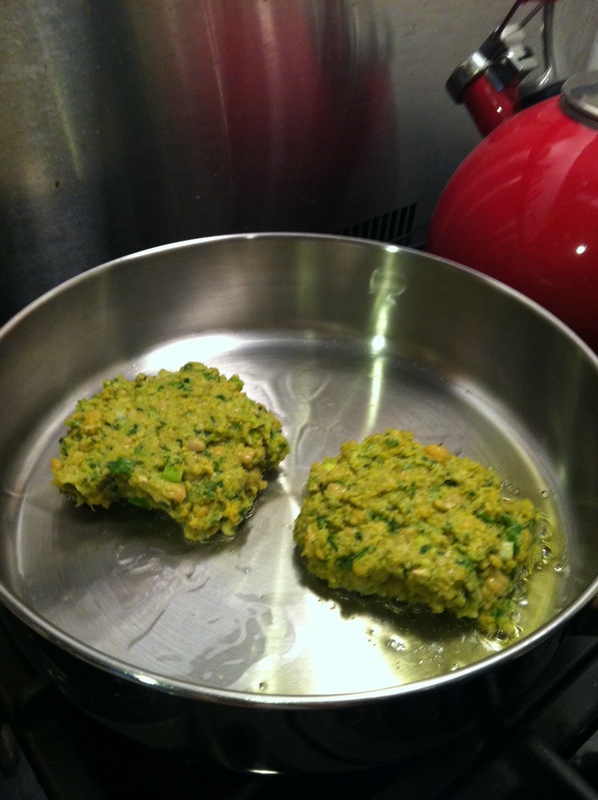 Heat a tablespoon or two of olive oil in a pan and add the patties. Cook 2-3 minutes on each side, or until brownish. While the burgers are cooking, you can make the super easy guacamole. Dice up the avocado, tomato and red onion and mix well with some cilantro. Top with the juice of 1/2 lime and mix well. Easy! Place the cooked burgers on a slice of toast, and top with the guacamole. Add spinach, tomatoes, red onion – whatever you’d like!